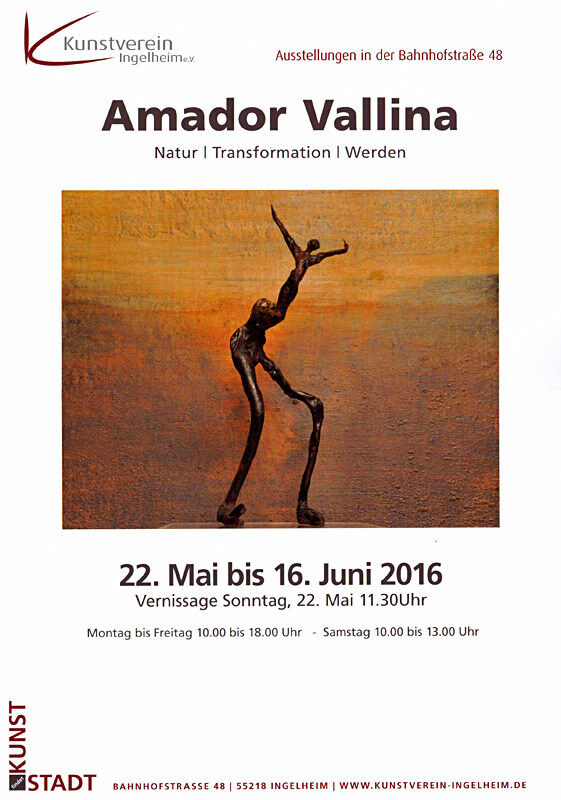 Amador Vallina präsentiert in seiner Einzelausstellung "Natur | Transformation | Werden" im Kunstverein Ingelheim e.V. eine umfangreiche Auswahl seiner Malerei, Monotypien und Skulpturen. This is a great tip especially to those fresh to the blogosphere. Brief but very accurate info� Thanks for sharing this one. A must read article! I know this web site presents quality based posts and extra material, is there any other website which presents these kinds of things in quality?